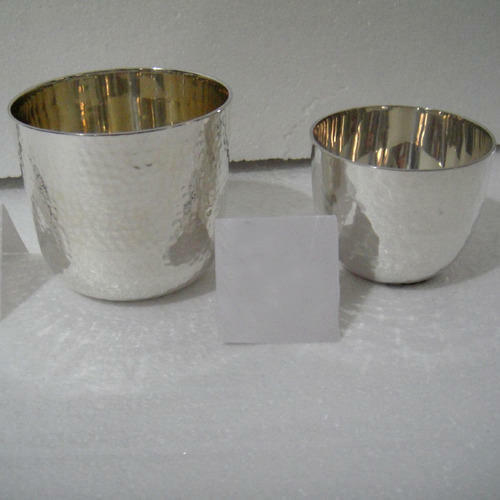 We have emerged as the foremost manufacturer, exporter and supplier of superior quality Hammered Silver Plated Glass Cups that is designed as per the international standards. The entire range is manufactured using premium quality raw material and latest technology; this is available in various specifications and designs as per the varied requirements of clients. Apart from this, offered product is strictly checked for various flaws before supplying to clients.